Berlin, September 8, 2017 – The world's largest and most fantastic technology event, IFA 2017 in European market to show the latest innovations in consumer electronics, draw a wonderful close on Wednesday. 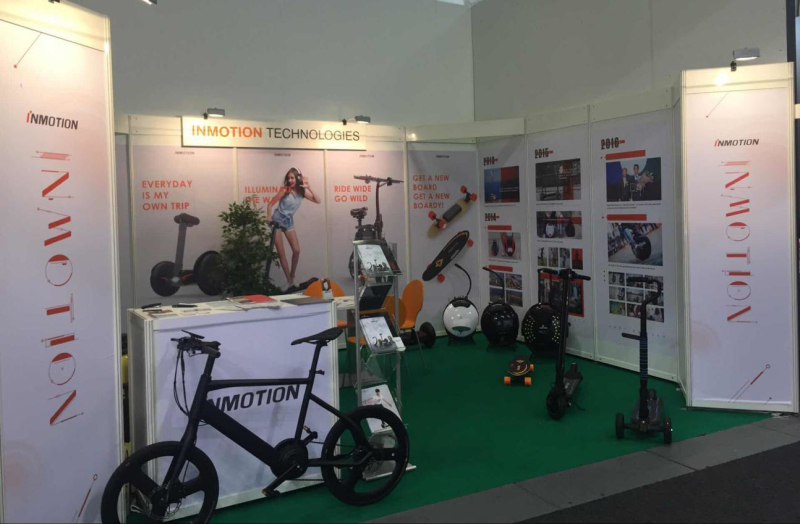 Inmotion Technologies Co., Ltd, a global leading self-balancing vehicle company, has fully displayed its innovative electric vehicles and other products to all attendees, which is the company's another great step toward global market. At this annual trade show, IFA has attracted more than 1600 exhibitors in the consumer electronics industry and visitors can take a close look at these new products as they like. 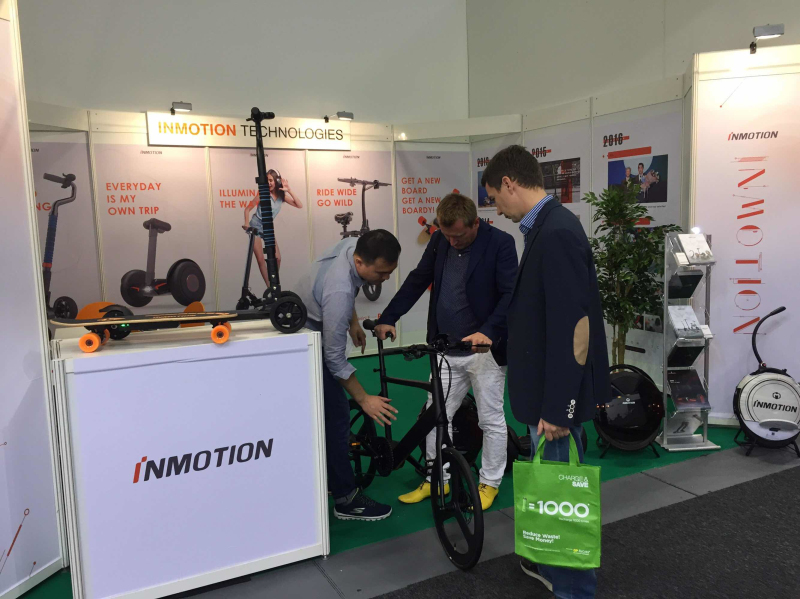 During the six-day exhibition, Inmotion has showcased many fantastic products, including single wheel self-balancing vehicles V5F and V8, electric scooter L8, folding mini e-bike P1, carbon fiber powered bicycle S1, electric skateboard K1, three-wheel Scooterboard and Hoverboard D1 and B2, etc. No matter it is one wheel, two wheel, three wheel self-balancing electric vehicles, four wheel skateboard, or mini electric bicycles, they are developed and made with the company’s own innovative technologies and unlimited creativity. The products are highly qualified, which will surely guarantee you safety while you are enjoying the high speed. Besides, the products tend to be lighter, thinner and the foldable design makes your travel life more easy and convenient. In addition, the battery equipped in the vehicles has a high quality, so it will give you a long mileage for one charge. Scream, applause, and exclamation, that might be the real situation at the booth of Inmotion. The company's cool products have appealed to many fans all of a sudden. We talked with one of visitors on spot, and he frankly expressed his love for the brand as well as its products. "I've tried this skateboard, it's so great. I can easily use it, without a remote controller. It's so funny and fantastic," said he. "I'd also like to share my feelings of experiencing the product to my friends," he added. Since its establishment in 2012, Inmotion balancing electric vehicles have gained a great popularity around the world. This time, the company has expanded its European market with its awesome products at the IFA Berlin. Now, Inmotion products are available in more than 300 stores in over 50 countries and regions of the world, and there might be 300 thousand fans or more. IFA 2017, taking place from 31 August to 5 September in Messe Berlin, has attracted many exhibitors and visitors all over the world. Since 1924, IFA has become the world's largest trade show for manufacturers and distributors to present their latest products, technologies and developments in consumer electronics and home appliances.